Uses the hard Gigabit Ethernet MACs (GEMs) internal to the Zynq PS. Uses 4 x AXI Ethernet Subsystem IP cores. 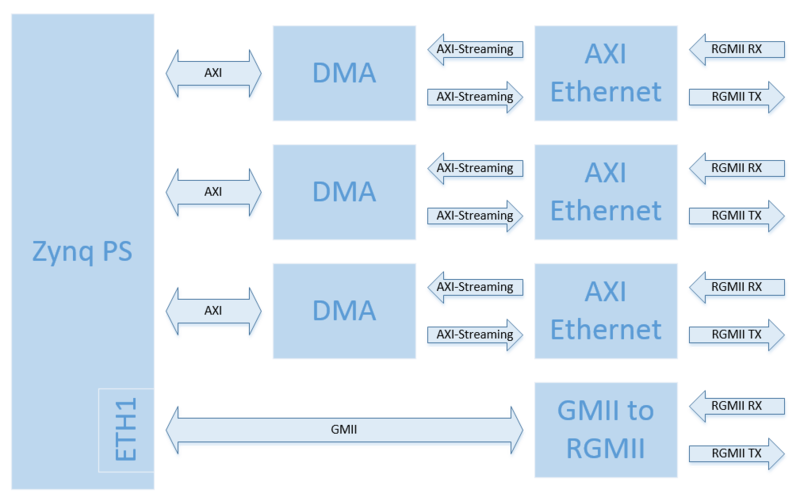 Uses 4 x AXI Ethernet IP cores and 4 x Ethernet packet generators for testing the Ethernet FMC at maximum throughput. 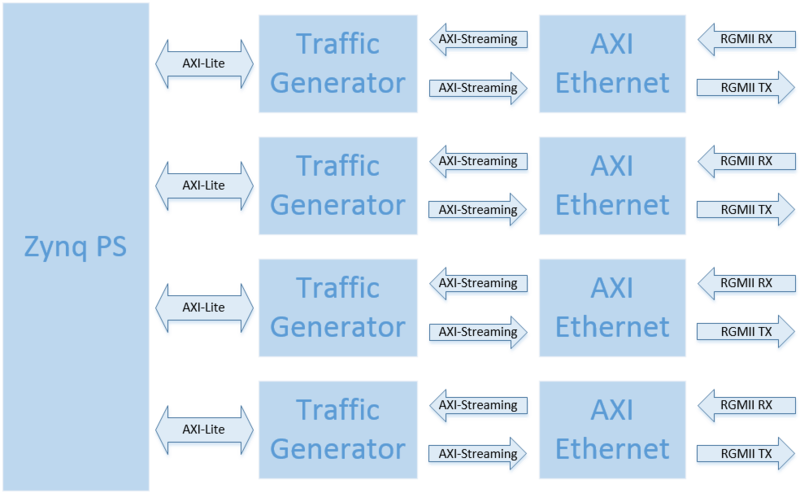 The packet generators, designed in Vivado HLS (high-level synthesis) and written in C++, drive the AXI Ethernet cores with a continuous stream of packets, as well as checking the received packets for bit errors. The software application polls the MACs to detect any dropped packets. 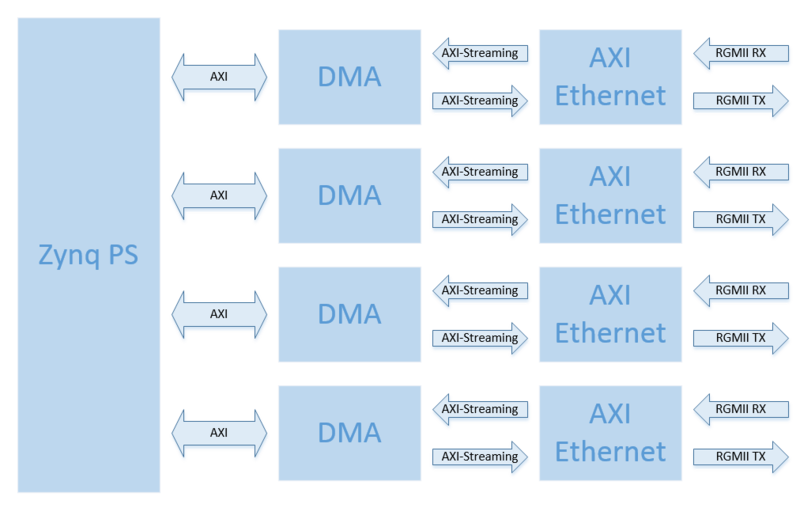 See maximum throughput measurements here. Ethernet FMC is a product of Opsero Electronic Design Inc. a design consultancy that specializes in FPGA technology. You too can contribute to the open source projects for the Ethernet FMC on the world's most popular social coding site Github. Need a customized version of the Ethernet FMC? Contact Opsero Electronic Design for custom design services.